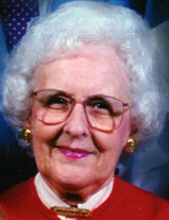 Ann Fabian Kurz, age 103, of Charlotte, NC, passed away on March 20, 2019. Ann Kurz was born on September 3, 1915, to her parents Charles and Helen Fabian of Flemington, New Jersey. She was a graduate of Flemington High School and the Flemington Children's Choir School which was a training school for junior choirs of various Flemington churches. A nationally known institution, it was respected and recognized for its religious musical programs, continuing in operation until the last graduation class of 1958. Ann was an active member of St. Magdalen's Catholic Church and the church choir. She worked many years as a legal secretary for the law firm of Large, Scammell and Danziger, of Flemington, New Jersey before retiring to North Carolina with her husband Frank. Ann loved music and expressed it through her singing and participation in several church choirs. When she moved to Charlotte, she joined St. John Neumann Catholic Church and its choir. In her past, she played the violin and piano while also belonging to a dance group called the "Blue Jinglers". She was a devoted follower of her Catholic faith. Ann always established a beautiful home in any house she lived in, two of which she and her husband spent many hours building themselves. She was an accomplished cook and made many lovely meals for family and friends; she enjoyed planting and tending to her flower garden. During the last few years of her life she joyously welcomed two great granddaughters. She will be remembered by many as a gracious woman completely dedicated to her family, leaving behind many sentimental memories. Ann was preceded in death by her husband, Frank August Kurz and tragically, her children Regina Ann Kurz and James Frank Kurz. She is survived by her only granddaughter, Olivia Kurz Heller, daughter of the late James Kurz and Nanette Kurz Bush of Charlotte, NC. Other surviving members are her great grandchildren Everly and Lana, daughters of Olivia and Cameron Heller; nephews Jack Gibbs (Christiane), Bill Shepherd (Jeanene), Tom Shepherd (Jan) and nieces Celia Trembulak , Kathy Gibbs and Linda Weddington (Ted). She is further survived by numerous other relatives and friends. A Mass of Christian Burial will be held at 11:00 AM on Thursday, March 28th, at St John Neumann Catholic Church in Charlotte NC. Interment in St. Magdalen Cemetery in Flemington NJ will be Tuesday, April 23, 2019, at 1:30 PM under the direction of Holcombe-Fisher Funeral Home in Flemington NJ. "Email Address" would like to share the life celebration of Ann Fabian Kurz. Click on the "link" to go to share a favorite memory or leave a condolence message for the family.